This flag appears at <www.bundenet.com> (as Vaupes flag while the real Vaupes flag apears at Vichada page). However, according to <www.presidencia.gov.co>, the correct flag is yellow over green. Same flag appear also at the official website Government of the Department of Vichada's at <www.gobvichada.gov.co>. However, wikipedia, show the other one. 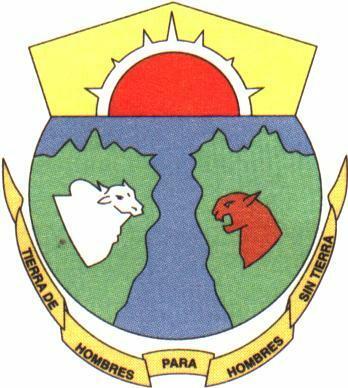 There is a new Coat of Arms for the Department of Vichada as shown at the official website of the Government of Vichada at <www.gobvichada.gov.co>.